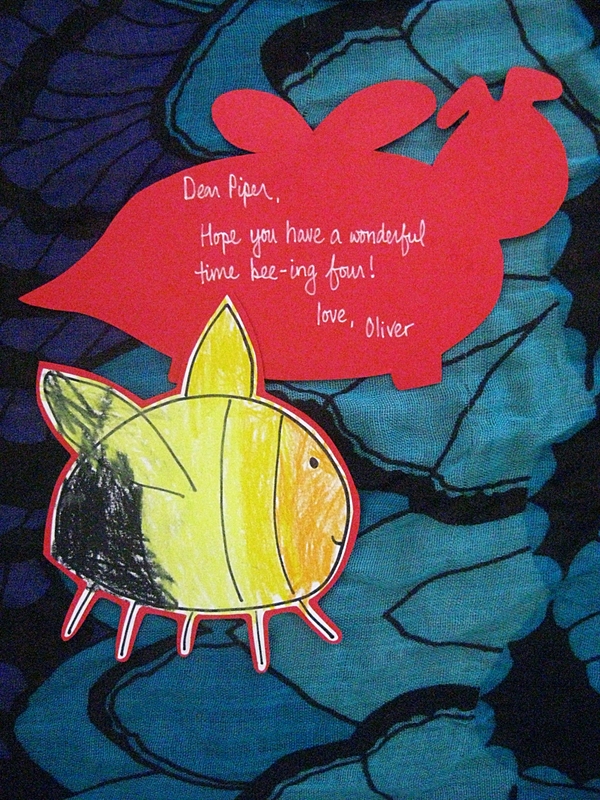 Recently I came up with an idea to encourage Oliver to colour more. 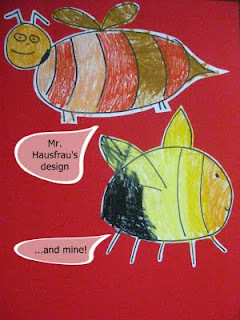 What if we drew him something to colour ourselves? 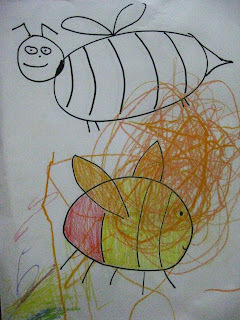 So because we had just seen bees in action at the PNE, I asked my husband to draw his version of a bee with a sharpie and I drew one on the page too. 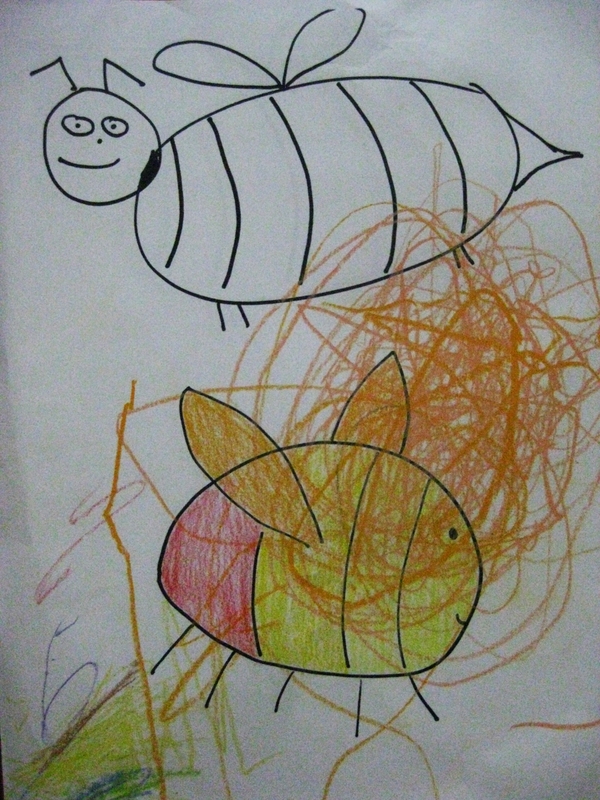 We photocopied the page and Oliver coloured the bees happily! I turned his finished bees into cards that we'll use for upcoming birthdays!